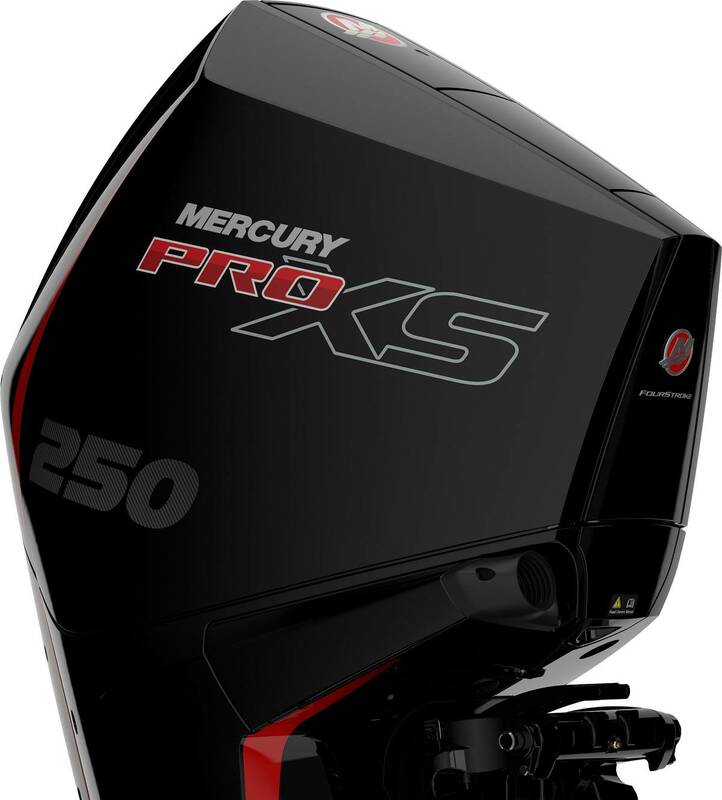 Mercury Marine introduced multiple new 4.6L V-8 outboard engine models – the 250 and 300hp Verado, 250 and 300hp FourStroke, and 200, 225, 250 and 300hp Pro XS – plus the Pro XS 175hp 3.4L V-6. This marks the largest single new-product development program Mercury has ever undertaken in its nearly 80-year-history, which has prompted a major investment in expanding its manufacturing footprint. 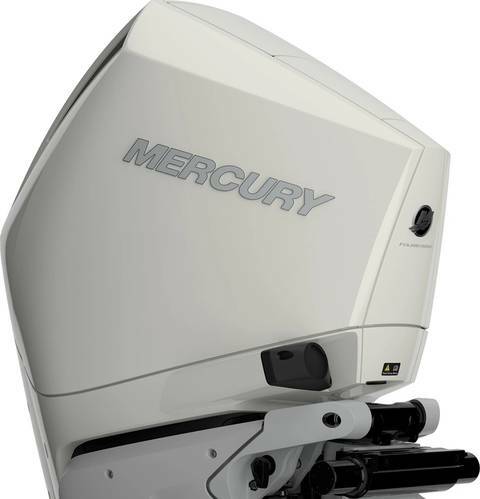 Mercury’s new V-6 and V-8 outboard engines are configurable to meet the needs of a wide variety of boating segments. Along with the 3.4L V-6 family released in Miami, the new V-8 engines fill out Mercury’s portfolio in the 175-300hp range. “These engines are naturally aspirated, durable, powerful and provide options for the consumer that they’ve never had before,” said Pfeifer. The Verado driving experience is further enhanced by NVH reduction for an ultra-quiet ride. The new V-8 models’ next-generation Advanced Mid-Section (AMS) incorporates perimeter mounts that deliver the lowest vibration in the industry, while sound barriers make it the quietest outboard in its segment. Exclusive Advanced Sound Control technology allows users to toggle between ultra-quiet operation and a “throatier”-sounding sport mode. On the new 250 and 300hp V-8 FourStroke outboard engines the high-displacement, quad-cam design of the new V-8 powerhead generates plenty of torque, especially at mid-range. The 300hp FourStroke boasts 4.6L displacement yet Mercury Marine reports that it is the lightest in the 300hp class by more than 10 pounds. These new FourStrokes offer choices between mechanical or digital (DTS) controls and hydraulic or power steering. The new V8 FourStroke engines are also available in multiple colors and can be further customized with the addition of an accent panel, as detailed below.